Open-source sharing of ColaLife’s lessons, designs and data has been our aspiration since we began in 2008. We’ve made a start on this (see our Open Access Initiative) but during 2016, we want to move this to the next level, even though work in Zambia to establish Kit Yamoyo in the market is still rolling out. We’re looking for manufacturers to take on our designs, academics to use our data, and publications to shout about our key lessons. 2016 started well – with a key Every Woman Every Child global publication on ORS and Zinc featuring our work very strongly. You can download it here: Progress over a Decade of Zinc and ORS Scale-up (PDF 10.4 MB). Already this year, we’ve joined the Ashoka ‘Globalizer’ programme, Rohit’s thesis will finally be online by the end of this month (Jul-16) and three papers from this will go forward to peer-reviewed journals [Ramchandani, R., “Emulating Commercial Private-Sector Value-Chains to Improve Access to ORS and Zinc in Rural Zambia: Evaluation of the ColaLife Trial (Doctoral Dissertation),” Johns Hopkins Bloomberg School of Public Health, Baltimore, 2015], and the Zambian Ministry of Health has just given permission to release the raw data from our trial (ColaLife Operational Trial in Zambia – COTZ) both to their staff and to academics globally. This blog post focuses on the Every Woman Every Child publication brought together by Clinton Health Access Initiative (CHAI): probably a ‘once-a-decade’ opportunity to share lessons on ORS/Zinc globally. Our work is referenced more than 20 times in this report. Our partners, Keepers Zambia Foundation and manufacturer, Pharmanova also get mentions, and we’re truly honoured to feature alongside some of the biggest global players, some of whom we’ve been talking to for a while: WHO and UNICEF; the SHOPS project; Bangladesh’s International Centre for Diarrheal Disease Research; PATH; Bill and Melinda Gates Foundation; John Snow Incorporated (JSI) and PSI, among others. So, which of our ‘Key Lessons’ made it into the final publication? “Encourage purchase and use of products together.” Yes – but we’d go a further. 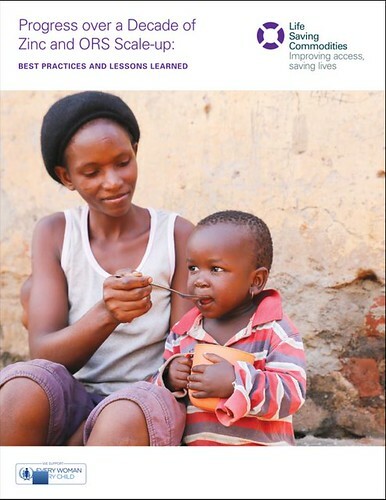 It’s astounding – and a disgrace from a public health viewpoint – that co-packaging ORS and Zinc has been a WHO/UNICEF recommendation for more than a decade, yet while acknowledging this in theory, in practice, both big donors and health agencies often procure litre sachets of ORS alone. Intermittently flooding markets with donated ORS alone not only undermines global good practice, but risks seriously undermining the embrionic local market for co-packed products. Why? Is it inertia? Business as Usual? Disconnects between theory and practice? “Product packaging and presentation can strongly influence caregiver appeal.” It’s good to see that in black and white. We’ve done it. We have the designs – now we want to share them! ColaLife has championed local manufacture in Zambia: as well as creating jobs, local simply makes sense: shorter lead times, shorter delivery routes, more stable pricing, local market knowledge. This new publication highlights ColaLife’s relationship with local Zambian manufacturer Pharmanova, but notes how few high-quality suppliers of zinc and Low Osmolarity ORS products exist in the market in Africa. “Although the potential market for Zinc and ORS is large, the upfront time and financial investments required to introduce new products without proven demand presented a strong barrier to supplier entry”. One of ColaLife’s aims is to break down this barrier, with free access to designs and research. ColaLife believes awareness raising must span the whole market: Ministry of Health, manufacturer, wholesaler, retailer and customer. This publication goes some way towards that message. Awareness raising costs money, and covering the whole market is key to sustainability: donors need to hear that loud and clear. 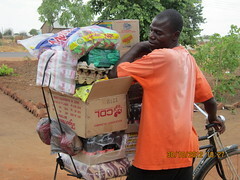 ColaLife’s focus on private sector supply chains is well-known: how, in the face of long distances, low profit margins, high distribution costs and low buying power can a bottle of brown fizzy water arrive in remote villages, yet these same barriers are constantly cited as reasons we can’t (or shouldn’t) rely on the private sector for simple medicines? Yet, as this publication reiterates, globally the private sector is a major source of care for diarrhoea – accounting for up to an estimated 70% of care-seeking in select Asian countries and 12-46% across African countries. 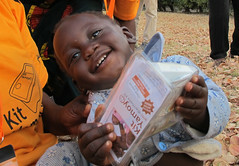 ColaLife has shown the potential is there; the market is potentially huge; the public health ‘win’ could be enormous. awareness and education has to cover the whole market – from Ministry desk to customer doorstep and from production to point of sale. There’s a lot more to learn and a lot more to tell, so if you can help, get in touch! Brilliant commentary and great work!